The history of The Hawthorns Stadium is essential to the history of The Baggies. They have called it home for 117 of their 139 year history and it has seen them win five FA cups and become Champions of England in 1919-20. But it hasn’t always been plain sailing and the club have had to come back from adversity more than once. You can find out about the history of other stadiums too, including the history of the St Mary’s stadium. The Hawthorns Stadium has been home to West Bromwich Albion since 1900, but is actually the sixth stadium they have called home. Prior to moving in, they also played at Cooper’s Hill, Dartmouth Park, Bunn’s Filed, West Bromwich Dartmouth Cricket Club, and finally, Stoney Lane. Their success during this time led them to search for a ground that could accommodate their growing fan base. The area they chose to build their new stadium was covered in hawthorn bushes that had to be cleared. This is where the new stadium got its name from. It was the first Football League stadium to be built in the 1900’s, taking just four months to construct. It’s opening capacity was 53,500 but this would change significantly over the years. Expansion continued, and by 1937 The Hawthorns saw its record date of 64,815. Although the capacity is large, it is not as large as the Old Trafford Football Stadium. In 1949 the ground was fitted with the first ever electronic turnstile in Britain to calculate attendances. The attendance figures started to wane at this point, and the ground saw a dramatic reduction in capacity to just 30,000. By the early nineties the ground was beginning to show its age. The Smethwick End and the Birmingham Road stands were demolished to comply with the Taylor Report which left The Hawthorns with a capacity of 25,000. In 2002 the club became the first in the country to install big screen widescreen televisions. 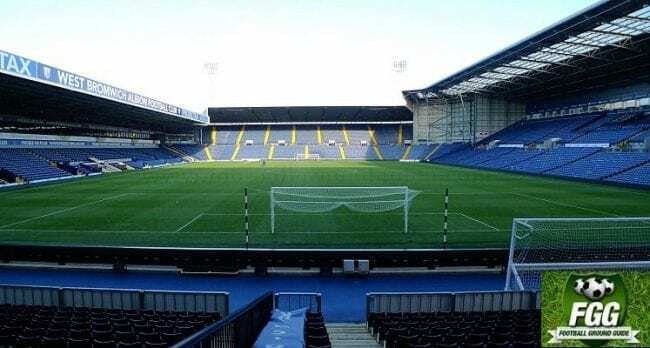 At an altitude of 551 feet, The Hawthorns is the highest ground in the Premier League and Football League clubs. As of 2017, the capacity of The Hawthorns stands at 26,850. If you are looking to place a bet, you might want to check out our list of football betting sites. West Bromwich Albion were founded in 1878 as the Strollers. It would be a further two years before the ‘Strollers’ part was replaced by ‘Albion’. They joined the Birmingham & District Football Association in 1881 and were extremely successful winning the FA Cup and reaching the final various other times. In 1881 they became one of the twelve founding members of the Football League and they won the FA Cup for the second time in 1892. Between 1901 and 1949 they bounced between the First and Second Division numerous times, but did manage to clinch the double of promotion and the FA Cup in 1931, a feat that had not been matched before or since. 1949 saw the club stay in the top flight for 24 years, which remains their longest stint to date. If you think this might change and you want to get involved in betting, make certain to check out our football tips first, so you don’t lose money. In 1953-53, they became the first team to win a league and cup double in the 20th century. They remained successful for the next decade and the 1953-54 side were named the ‘Team of the Century’. They would carry that success over into the 1960’s, winning both the League Cup and the FA Cup. The 1970’s were a mixed bag(gie) for West Brom as they were relegated, promoted, reached the FA Cup final and became the first professional English team to play in China and came away undefeated. The 1980’s, however, saw the club’s fortunes take a turn for the worse and they were relegated at the end of the 1986 season before being relegated again in 1991. They secured promotion to the First Division in 1993 and would finally win promotion to the top flight again in 2002. They would spend the next eight years in a state of flux, being relegated athen promoted, before achieving stability. They have been in the Premier league since 2010. For details on Premier League Fantasy tips, please click here. West Bromwich Albion Football Club are one of the oldest football clubs in the country. Another one of the oldest clubs is Stoke City, find out more about Stoke City and their stadium here. They have many celebrity fans including Frank Skinner, Lenny Henry and Eric Clapton and the Supporters Club has thirty branches throughout the world. The baggy shorts worn by players during the club’s early years. For a table of West Brom results from the current and previous seasons, click http://www.skysports.com/west-bromwich-albion-results for all the stats, a match report and more. To have a bet on what you think the West Brom score will be, just click here for the latest odds and the best prices.